RD1 vs RD2,who is better and why?? So,in my opinion RD2 is better because you have more options of customizing,the map is not only bigger but more detailed and with beautiful envoirment;the missions are great and the story is better.I also like you have boats,you can buy horses;the interaction with pedestrians and the strangers missions are more enjoyable here;also the characters(with John Marston,Abigail,Uncle and Jack as exceptions of course)are more memorable in RD2 and it feels more as an open world. I said RD2 is better but also it has it's downfalls,like it lacks the "wild west" atmosphere that was in RD1;in RD2 at some point of the game the gang could moved to a desert zone with a lot of other gangs(or start the game before the robbery in Blackwater with the camp in New Austin? );you can't fast trabel by personal camp,the AMAZING SOUNDTRACK from RD1 deserves a mention which of course was better and despite I said the missions in RD2 were great ,ost of them weren't as epic as in RD1. Arthur Morgan is narrowly better than John Marston. However I'm glad Rockstar still know how to write great,more serious stories after GTA V.
Edgar Ross is a better antagonist than Micah. There are parts of both RDR2 and RDR that are better. The atmosphere and level of detail is quite clearly something that RDR2 does better than most games in the current generation. It's the only game I know of, for instance, where construction sites in the game world will eventually lead to completed buildings after enough in-game time has passed. Missions also have more depth and structure in RDR2. 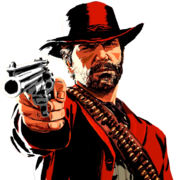 Story-wise: in my opinion RDR2's story lacks due to its predictability (due to it being a prequel), particularly for those who played RDR. You know right from go, to an extent, which characters are going to survive by the end of the game and which aren't, which removes some of the impact. I also preferred Marston to Morgan as far as protagonists are concerned. Overall, in my opinion, RDR2 is better than RDR due to its level of detail, and because of the atmosphere of the game world. RDR1 for me. There's a certain magic to it that I honestly can't explain. I've been playing it since I beat RDR2, and it's still there. RDR1. The dialogue is better, gameplay, minigames, story, characters, ambience in general, missions, music. II is something out of this world in the technical aspect, but lacks in the basic stuff. 2 is better in every way. Every way. Redemption 2 is better. However, The free-roam soundtrack in Redemption is more evocative, diverse and it covers all bases, which is an aspect that truly differentiates the atmosphere of both games and how it makes some players prefer that overall desert, dusty atmosphere of Redemption. It's probably the 'magic' that makes the 2010 game feels.... different. In my opinion RDR2 does more or less everything better than RDR. It's simply an amazing sequel because it managed to build on the holy greatness of RDR. Some games today either get rebooted and/or removes features from the previous game. RDR2 on the other hand keep the core of the previous game and improves it further; the shooting, the horse physics, wanted system.. its all much more complex and refined than before (even though its not perfect). RDR2 feels coherent, true to its roots, and it is not gta with horses: its RDR refined. 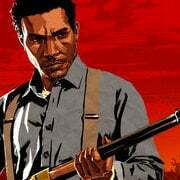 Its clear to me that RDR2 paves its own way compared to gta or other similar games - which is probably why the game got a lot of negative reviews on metacritic: people excpected gta 5 with horses but got a spiritual sequel to RDR. Such a shame RDO isn't a spiritual sequel of RDR multiplayer. In RDO term "GTA with horses" is really visible. that is so true. i liked rdr 1 mutliplayer much better than rdo. i wish they would have made it more like rdr 1 multiplayer than gta online. RDR 2 is slightly better and Arthur is a better protagonist than John. 1. More activities like horseshoes and Liar's Dice. 2. Proper law that didn't try to kill me at any opportunity it could. 3. Endless random encounters and bounties. 4. Animals that didn't run away at my sight. 6. Unlockable outfits with bonuses. 7. Thieves Landing that gave me sales for my bad deeds. And many more things like OST and atmosphere. I'm not playing online - neither in RDR or GTA. (1) Players aimlessly roaming around killing anyone on sight whlile the screaming german kid is on the other side of the headset. (2) Cheaters and hackers paradise. (3) Upgrades that will downgrade singleplayer (and of course add no new content and if any content from online becomes obtainable in SP Rockstar will block it). (4) Rockstars mega successfull income maximizer: the popular pay to win system. ''Cash is king in RDO''. Rockstar has already taken action against the killing spree, but SP has already had downgrades (no ambient occlusion), so lets see whats next. Reticule shaking in RDR 2 drives me crazy. So annoying. RDR 1 shooting was much better. Because you’re not supposed to play this like it’s a twitch shooter, I like the shaking. This is exactly how I feel. 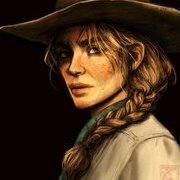 I loved everything about RDR2 and its way up there on my list of all time favourite games. But theres just something abut RDR1 that like you, I cant really explain. RDR2 is better in every way for me ,aside from the soundtrack, which is more of a question of taste than quality. RDR1. It’s older, not as graphically pleasing (the 4K version is beautiful though) & it lacks a lot of the in-depth realism that the second game has but, I enjoy it way more. I prefer the setting of West Elizabeth/NA & Mexico over the other states, hell, once I unlocked em in the secondI couldn’t be bothered to go back to new hanover/Lemoyne.The ambience was hands down sooo much better in the first game as well. Don’t get me wrong, RDR2 is still a great game and I’ve put hundreds of hours into it, but I still find myself leaning towards the original. I love that both games had two different settings but I do prefer RDR1. As for story...RDR1, I love RDR 2' s story but it was too over the top, far to many long long shootouts, far to many "plan gone wrong situations". As for game play, I'm a little split. I love both but I think I prefer the more simplic RDR1. There's just more QOL features and after an hour of playing I feel like I've done hardly anything in RDR2. we should be supposed to play it how we want. With our skills. The reticule shaking was supposed to immerse yet it does the exact opposite. Not just that, it DRIFTS. If you stand perfectly still while not in combat, it kinda makes a square pattern. I don't understand the motivation. I like old part of the map more than New hanover/Lemoyne too. It's so spaghetti. Needles to say, i spend most of my days in West Elizabeth, rarely go to the new part. All we need is Mexico and i'm complete. To me it feels far more realised. Red Dead Redemption is still a great game and deserves its place as one of the greats, but its successor feels more like R*'s learning of the last decade or so had been put to great effect. Just like the GTA series they both do things better than eachother in different ways and some things worse off. I felt more attached to Arthur than John and enjoyed the more realistic approach to gameplay. Mastering the shaking is what would typically be considered skill.